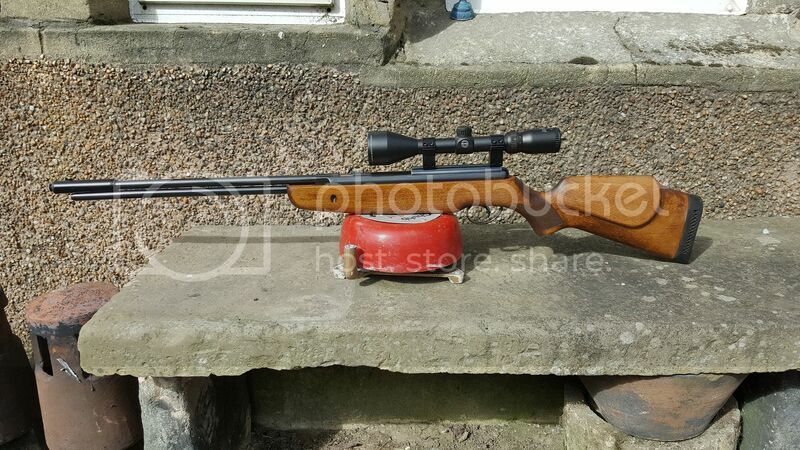 Selling my cannon .25 superstar not in mint condition as the stock as been sanded and oiled by previous owner. 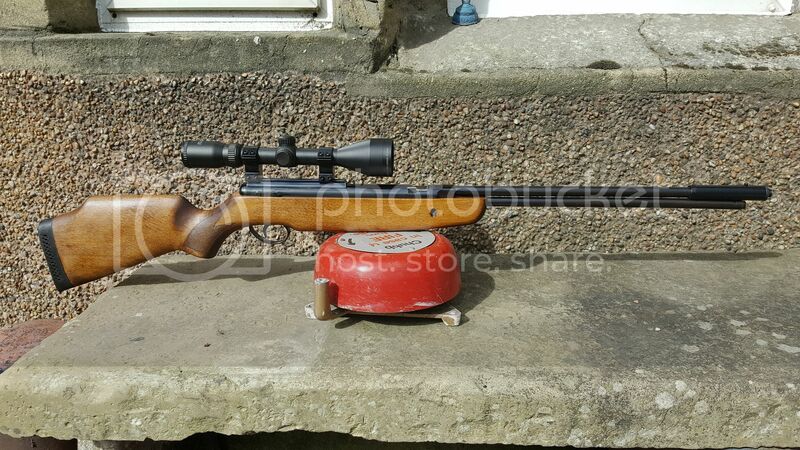 Shoots spot on and comes with a few different tins of pellets. Also the scope it's a hawke sport HD 3-9x50 accu flip up on the back not shown in pictures and a bushwacker front flip up that's more for a 40mm end so it's a tight fit but does its job and doesn't alter your vision. It's a mildot. I'd like £160 collected for it or could deliver at fuel costs.